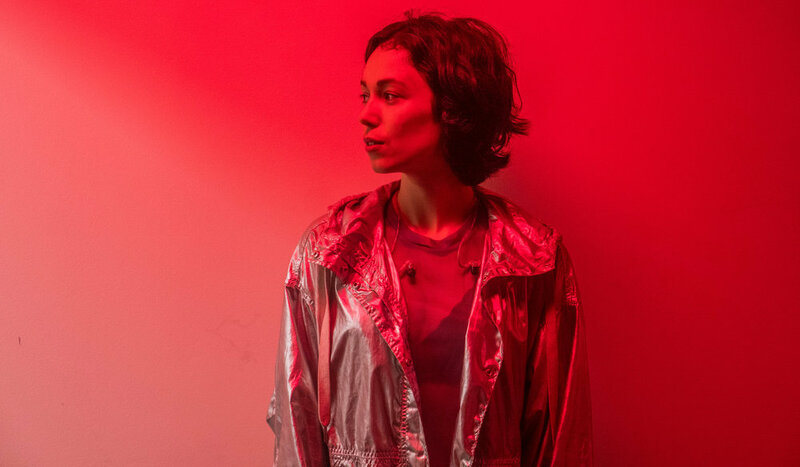 Kelly Lee Owens is a star. 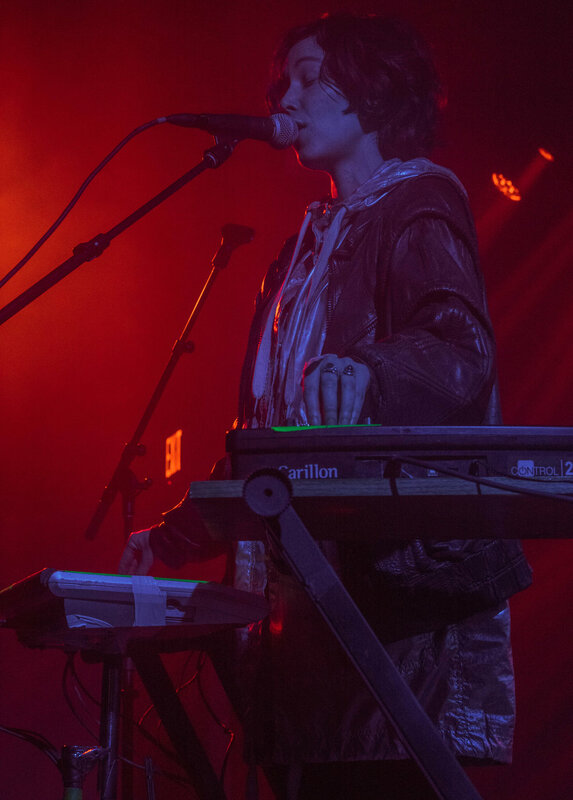 It may sound hyperbolic but the London-based electronic artist's first show in Washington, DC was nothing short of expectation-shattering. Her music is more than just a sound, it's an experience. Her undeniably quixotic rhythms and melodies and hypnotic array of visuals permeate your body and put you in a trance. Personally, I'm always anxious to see someone for the first time on their first tour. Often, I want their music to translate in a live setting so desperately that I probably almost worry more than the artist themselves. But every once in awhile, an artist comes along that transcends their album (disclaimer: I loved her self-titled debut album) and Kelly Lee Owens is one of those artists. On Sunday night, Owens' first-ever stop in the nation's capitol, the crowd started out sparse and grew to a considerable number by the time she took the stage (Also, a quick shoutout to openers Carmen Villain and Blacklodge + em.g, who were both outstanding electronic artists in their own right). I've been to plenty of shows like this one in DC. A new artist with not much name recognition, and a Sunday night audience lacking just a little bit of energy - maybe clouded by the thought of Monday at work only a few hours away. Owens did everything in her power to overcome the shy, Sunday evening group of concertgoers. She prodded the crowd, "Come on Washington!" as she stood, solo, behind three stands of equipment - her orchestra, if you will. As she played conductor to produce her groove-inducing sound. And by the end of her set, she had turned the crowd, breaking them out of their shells, releasing their inhibitions, and compelling them to feel that same energy she was exerting on the stage. I was lucky enough to meet Owens backstage after the show, and the first thing I told her was that, beyond putting on an incredible performance, her ability to bring that weary crowd around was no small feat. As she walked off stage, that same audience was now pleading with her to come back for one more song. She eventually came back out to thank everyone, but unfortunately said she had no songs left in her set. Backstage, I listened to her talk about a variety of topics, ranging from her process to her idea of what it might mean to make it big. She talked about the perils of overnight success with other artists, keeping her expectations checked, and simply enjoying the experience as it comes to her. Experiences like getting to open for one of her favorite contemporaries, Four Tet. Who she may have even hinted at the possibility of working with in the future - which was music to my ears. When asked about her remixes of idol Björk and indie favorite St. Vincent, Owens fervently talked about her surreal experience meeting the legendary Icelandic songstress, and how she wants to see more women musicians remixing each other's work. In fact, sometime last year Owens diagrammed out wanting to remix those two artists on a chart of her musical goals and believes it helped her manifest those ideas into reality. Her seeming ability to manifest the reality she wants, comes through in her music, and can be heard in what she described as this innate notion of knowing when she has the final product she wants. It will be interesting to see where she takes her music next, as the possibilities feel endless with an artist of her talent. All photos by Jordan Wilhelmi for Capitol Sound DC.